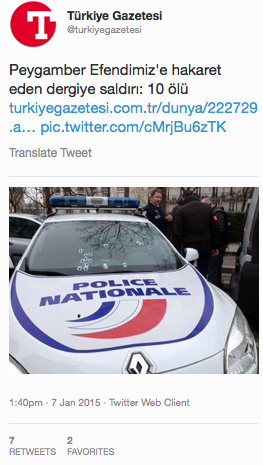 Islamist AKP-aligned news outlets first labelled Charlie Hebdo as a magazine that insulted Mohammed, then blamed the victims for the attack. Turkish and regional Islamist newspapers have blamed the satirical magazine Charlie Hebdo („Charlie Weekly“) for the attacks against it yesterday. Islamists and jihadists all over the world rejoiced over the attack, flocked to online forums and sharing their glee on social media. The assault on the magazine, the worst terrorist attack in France in 50 years, killed 10 journalists and two policemen. Those murdered were staff of the magazine who had been holding their weekly editorial meeting at the time. It has been reported that the jihadists targeted specific cartoonists. 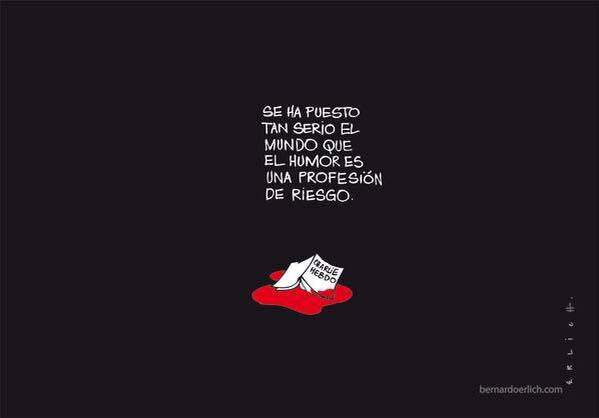 Among those killed was the magazine’s chief editor Stephane Charbonnier and three of France’s most famous cartoonists: Jean Cabut, George Wolinski and Bernard Verlhac. One of the terrorists, aged 18, turned himself in to the French authorities. He gave the names of the other attackers, two brothers — Cherif Kouachi, 32, and Said Kouachi, 34 — to the police. The manhunt for the two continues. Paris was shaken this morning by another apparent terror attack when a policewoman was shot in the southwestern suburb of Montrouge by a man with an automatic rifle. The policewoman has since died of her wounds. The attack has not been definitively connected to yesterday’s shooting. This should not come as a surprise. Turkey’s foreign minister said yesterday that terrorist Hamas leader Khaled Meshaal was welcome to move to Turkey should he leave Qatar, where he has been based, despite Turkey’s official status as a NATO ally. 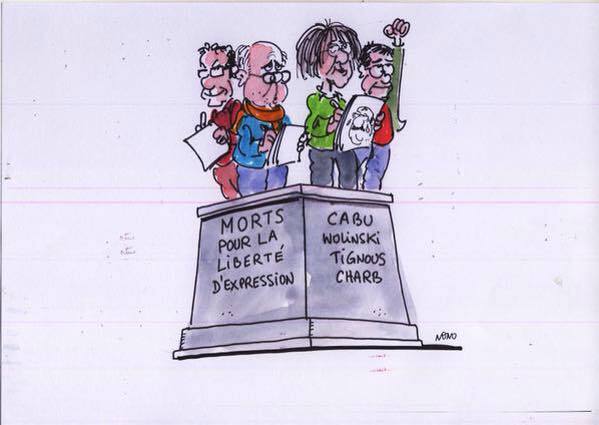 These papers are all implying that the writers and cartoonists at Charlie Hebdo brought the terrorist attack on themselves by exercising freedom of expression. Several Western media outlets explained the motive of the ruthless murderers by saying that they were provoked. To be a child in the southeast Turkey…….. There were snipers everywhere, but he was brave enough to visit children as he joined YPG ranks. Du browst gerade in den efendisizler Weblog-Archiven nach dem Monat Januar 2015.